A - B - Seymour: Everything You Need to Teach and Watch Penguins! Almost two months! I can not believe it has been almost 2 months since I blogged. I could give you a bunch of excuses about being busy and time just getting away from me, but I'll save them. As fellow teachers I hope you understand and have some pity for me. I got my first student teacher this week and it has been great so far. She is so eager to have her own classroom and is willing to help me with anything. It has rejuvenated my teaching spirit....so much so that I just had to get back on here and blog. We have been spending a couple weeks on penguins and my kiddos are seriously penguin experts!! Even my student teacher is impressed with how much they know about penguins. I want to share a couple packs that we have used and have been so helpful. I also want to share some very fun and cute penguin videos and web cams. This will be more than you need for a 2-3 week unit on penguins. 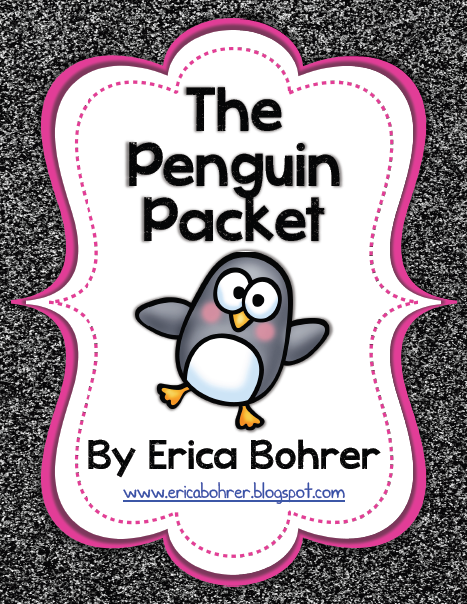 First, we started with Erica's awesome penguin pack! This pack is over 100 pages of penguin awesomeness. Click on the picture for the link. This penguin fold and learn is so much fun for your kiddos too. I used it last year and we will be making them again this week as we wrap up our penguin unit. Click the picture for the link. You can find all of my Pinterest videos *here* if you want to see more, but I've posted a few for you. 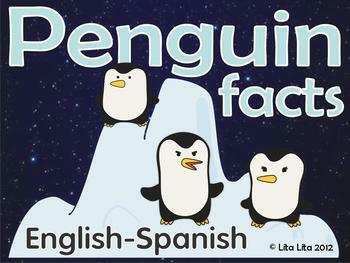 Erica's pack has an attribute chart in it with four types of penguins so I found these short little videos to help my kiddos see and understand the different species of penguins. Thanks for letting me share our penguin fun with you! My kiddos are very sad that we are ending our penguin unit this week. I must say it is a great way to get through the winter blues in January. We will be ending our unit on Friday with a blubber experiment. You can click *here* to read my post about it from last year. I will share new pictures after we do it again this Friday.